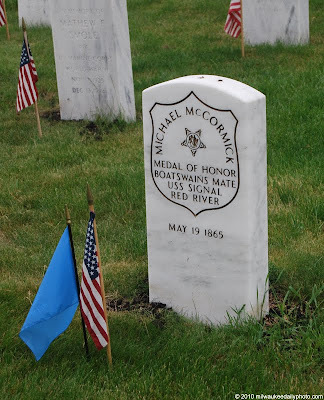 Boatswain's Mate Michael McCormick served on the USS Signal for the Union during the Civil War, and his headstone is at Wood Memorial Cemetery, in a section near the area where Memorial Day services are held. "Served as Boatswain's mate on board the USS Signal, Red River (LA), 5 May 1864. Proceeding up the Red River, the USS Signal engaged a large force of enemy field batteries and sharpshooters, returning the fire until the ship was totally disabled, at which time the white flag was raised. 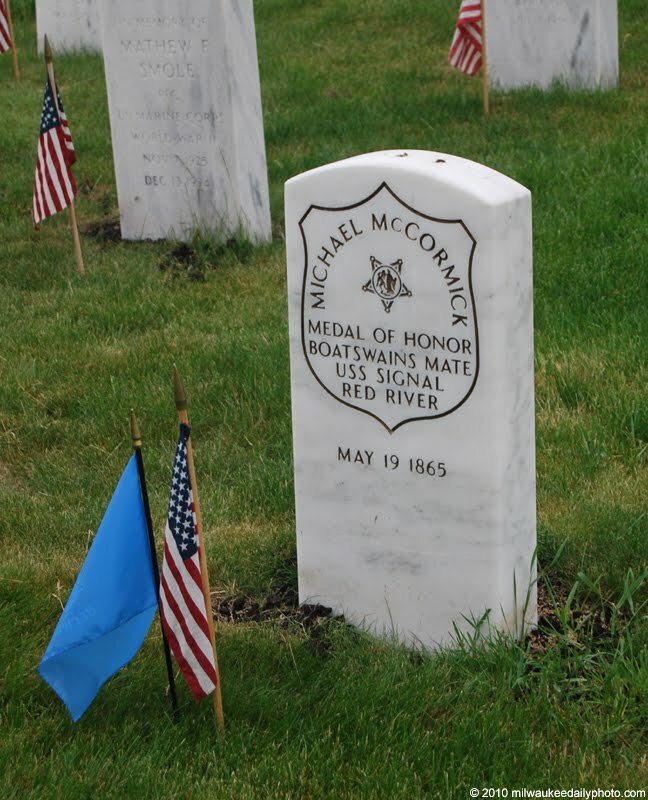 Serving as gun captain and wounded early in the battle, McCormick bravely stood by his gun in the face of the enemy fire until ordered to withdraw."